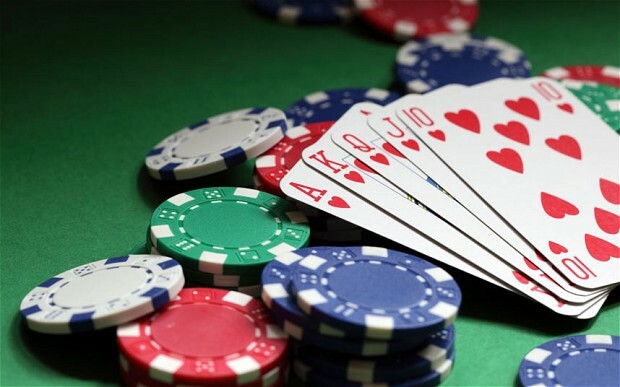 Is it a sin for a Christian–or anyone else for that matter–to gamble? I’m sure you’re expecting the same tired arguments you’ve heard over and over again from well-meaning conservatives: it’s a poor use of God’s resources; it promotes greed; it leads to addiction. What’s the difference between the man who drops $350 for his family to experience the thrills at Disney world and the man who drops $350 at a casino to make for a thrilling bachelor party for his son? Does gambling force you to become greedy? Is something wrong just because it’s addictive? Unless you are ready to argue that all money spent on entertainment is a waste of your resources, you cannot single out gambling on this basis. As far as greed goes, a person’s greedy desire can find plenty of outlets without the help of slots or lottery tickets. Gambling may feed greed, but so can a person’s income, investments, or family inheritance. What about gambling addiction? Well, Doritos are addictive, but I have yet to hear of a church declaring them sinful. The point I am trying to make is that we need more. This case is not open and shut by these three tired arguments. Christian wisdom requires us to dig deeper. Mega-millions. Scratch-offs. Slots. Blackjack. Poker. To be honest, it’s not even fair to use a term like gambling as a giant catch-all for these very different activities. Buying a lottery ticket is different from buying a scratch-off. Playing slots is different from playing poker. It’s an improper use of Christian wisdom to fell gambling with one swing of the ax. Let me explain. Let’s compare a mega-millions lottery ticket with a scratch-off. With a mega-millions ticket, you may be compelled to purchase multiple tickets at once to increase your odds of winning the jackpot (a mathematically foolish idea), but you are not going to be tempted to buy one, after another, after another after another. However, with a scratch-off, you may spend $20 for the first card and lose, but there is always the thought that maybe you could recover your loses if you won on the next card. A scratch-off is much more likely to inspire an addictive spending spree than mega-millions. Or what about slots vs. poker? Both take place at the casino, but they are very different. Slots promise a win with the next pull, or the next pull, or the next pull. The house rigs the machines to allow you to win small amounts at close enough intervals to keep you on the leash, to keep you spending. Even the simplicity and repetition of a slot machine is somewhat coma-inducing, and it makes it easy to overspend. With poker, you buy in. You can choose exactly how much to spend, and you play against other players, not against the house. The temptation is lower to try to recoop your losses with a quick turn around because poker require careful thought and skill. Honestly, the addictive nature of scratch-offs doesn’t necessarily make it sinful. The skill and thought required for good poker play certainly doesn’t make it righteous. These different forms of gambling have to be evaluated on a case by case basis. The man who buys scratch-offs for his co-workers for Christmas is giving an innocent (though somewhat worthless) gift to his friends. The man who is at the gas station squandering his week’s pay check chasing the false hope of scratch-off millions is sinning against God and his family. Gambling comes down to the heart. When you play the slot machine can you exercise self-control? Technically, $10 spent on slots is the same as $10 spent at the movie theater: it’s money spent on entertainment. However, once that $10 turns into $20, $40, $100…then you have to question whether slots fosters self-control or fuels the temptation to spend God’s money unwisely. We have to admit that many forms of gambling allow for a much more damaging addiction than Doritos or chocolate. Paul says in 1 Corinthians 6:12–“‘All things are lawful for me,’ but not all things are helpful. ‘All things are lawful for me,’ but I will not be dominated by anything.” If you cannot step into a gambling scenario without being dominated by the game, for you it is sinful to participate. When I used to work at UPS, I would often overhear conversations on the shuttle about “what I would do if I won the lottery.” These people actually held out hope that one day they might be the lucky winner. When a person places his hope for a better life in a lottery ticket, he has misplaced it. Our only hope for the future is Jesus Christ. Chronic gambling can reveal a heart grasping for a true hope and a future–two things even a lotto win cannot ultimately grant. When it comes to entertainment, we always have to realize that it takes a back seat to being “blameless and innocent, children of God without blemish in the midst of a crooked and twisted generation, among whom you shine as lights in the world” (Philippians 2:15). In our lives, we must always err on the side of holiness rather than licentiousness. It may not be wrong to buy a lottery ticket, but do you really want to participate in an institution that takes advantage of the poor? Who becomes addicted to lottery tickets and scratch-offs? Is it the rich CEO? Is it the investment banker who spends his whole week’s paycheck at the dirty gas station checkout? No. It’s the poor man. It’s the guy who is hoping for a brighter future. That lottery ticket is a dream of a better life–and it holds out false hope. Through the lottery system, the government offers addictive false hope to those who need our compassion. You have to ask whether you want to be a part of that. Lastly, consider the venue. Are you walking around a casino being entertained in an atmosphere of excess, sexual temptation, and a false picture of ‘the good life’? Does that sound like a place a Christian should frequent? Or are you having a weekly poker night with some guys in your basement where you talk about your struggles, your faith, and your marriages over a lively game of cards? Venue matters. Christian wisdom realizes we were rescued from the darkness for obedience to Christ (1 Peter 1:2). Moreover, Christian wisdom moves beyond the question: “Can I?” Once we begin to ask, “Should I?”, we are on the road to choosing what is best rather than what is permissible. I haven’t thought specifically about gambling, but I’ve meditated a fair bit on wealth lately as a result of personal study in 1 Jn 2:15-17 and our church’s preaching through Mark 4. One thing that really stuck out to me was Jesus’ identification of the “deceitfulness of riches” as a contributing factor that chokes the word before it yields fruit. It’s difficult to add the question, “Am I deceiving myself by participating in this?” to your list, because by nature you wouldn’t know. Perhaps it’s a matter of evaluating, as you said, how “raising the stakes” relates to the game you’re playing. Am I seeking to get lucky, hoping to turn a small sum into a money sack? Or might I agree to put a measured amount of money on the line to support a game mechanic, such as bluffing in poker? Personally, I’d rather eat and drink my spending cash than lose it on a game of cards, but if someone approached a game with self-control and enjoyed time with their brothers / sisters, I’m not sure how I could call that sinful. After all, wine is a mocker, but I’d maintain you can enjoy it without being led astray by it. Great thoughts, Ryan. I’m with you: I would choose food over gambling any day!